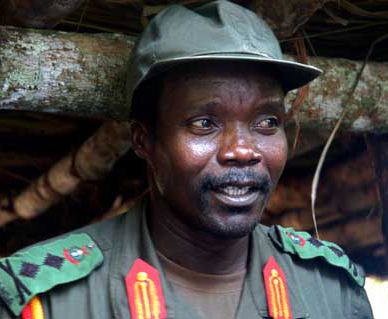 Joseph Kony, leader of the Lord’s Resistance Army (LRA) – a rebel outfit has reportedly dropped the use of communication gadgets and resorted to human couriers to avoid detection by UPDF surveillance in the war-wracked Central African Republic (CAR). Perhaps, to avoid a similar fatality that befell former Angolan rebel leader, Jonas Savimbi who was tracked down and killed using his satellite mobile phone, latest reports received by the Uganda army indicate that Kony has instructed all his commanders to avoid using communication gadgets such as satellite telephones and walkie-talkies and instead use human-to-human communication. Captain Peter Mugisa, UPDF 4th division spokesperson says that intelligence reports gathered from two girls who have just returned from rebel captivity indicate that Kony now only relies on human couriers. Agnes Acii and Akello Ayugi Agnes returned on Friday last week and were received at the UPDF Child protection Unit in Gulu. Acii claimed that she had been forced to become one of the many Kony's bush wives. She returned with a child while Akello carried two children aged one and three years. Mugisa says that the former abductees also say that Kony has issued instructions against looting food forcing his soldiers to rely on wild animals, fruits, roots and tubers as the only source of food in the jungles. Mugisa also says that the army has learnt that Kony has been sending his fighters to foreign western military schools to learn latest warfare techniques and how to operate modern military equipment. He says that the army was shocked at the kind of arsenal they have recovered from the LRA bases in DR Congo, since operation Lightning Thunder was launched in 2008. He explains that the weapons and telecommunication gadgets require military training from sophisticated military institutions in developed countries. Although not new, the information may present a dimension to the capacity of the rebels to withstand pressures for years and manage to cross borders and wage attacks with ease. Norbert Mao, the Democratic Party president on Saturday told a meeting of Acholi leaders in Gulu about how Vincent Otti, the LRA second in command, rumored dead once told him about how they would fly their fighters to train in Yemen and Iran. Mao said that the information he got about LRA was shocking compared to what government has always told Ugandans.